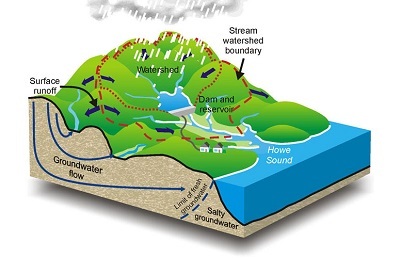 Senate Bill 1563 Requires the Department of Environmental Quality (DEQ) to award GRANTS for purpose of developing and administering loan programs to provide low-interest loans for the purposes related to on-site septic system repairs, replacements, upgrades and evaluations. 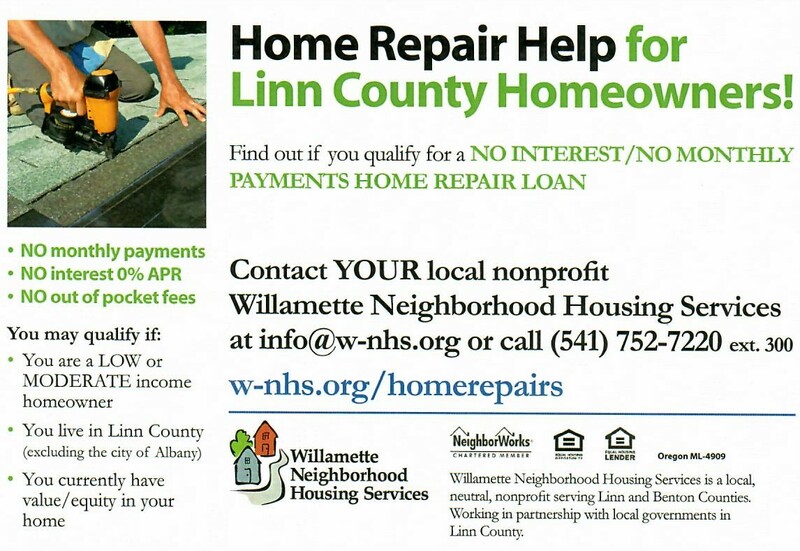 Willamette Neighborhood Housing offers monies to repair homes. 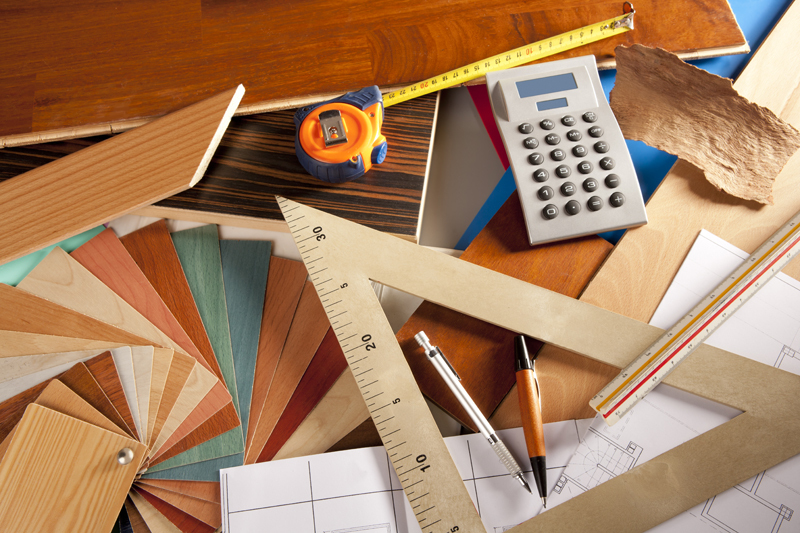 Workshops are available that offer help in purchasing a home, or retaining your current one. 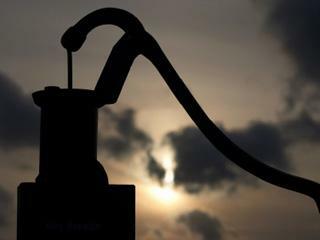 Click below for more information and contact numbers. "VETERANS HOME IMPROVEMENT FUNDING AVAILABLE! If you are a U.S. armed services veteran and homeowner, you may be eligible for a no-payment 0% interest loan for home repairs. 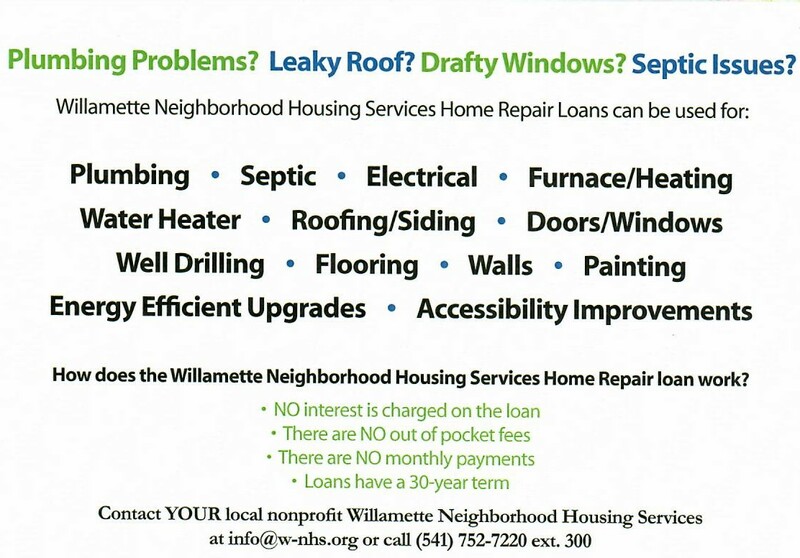 If your income is low or moderate, you have equity in your home and need home repairs, please contact Willamette Neighborhood Housing Services at 541-752-7220 ext. 300."